In botany, the uppermost layer of vegetation in a forest, consisting of the tops of trees forming a kind of ceiling for the understory, all the life that thrives beneath the canopy. 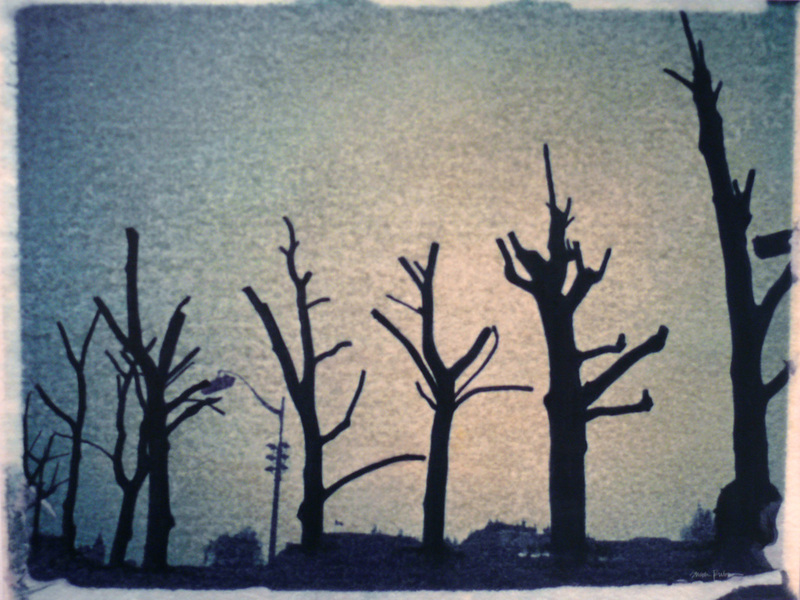 In the cold of winter, we are grateful for the architecture of trees that punctuates an empty landscape. In the awakening spring, it is the trees that first remind us that nature renews itself. In the heat of summer, we feel calm in the shade of trees. In autumn, the color of trees is the last hurrah before the cycle starts again. On the most basic level, trees inhale carbon dioxide and exhale oxygen. We owe our very breath to them. 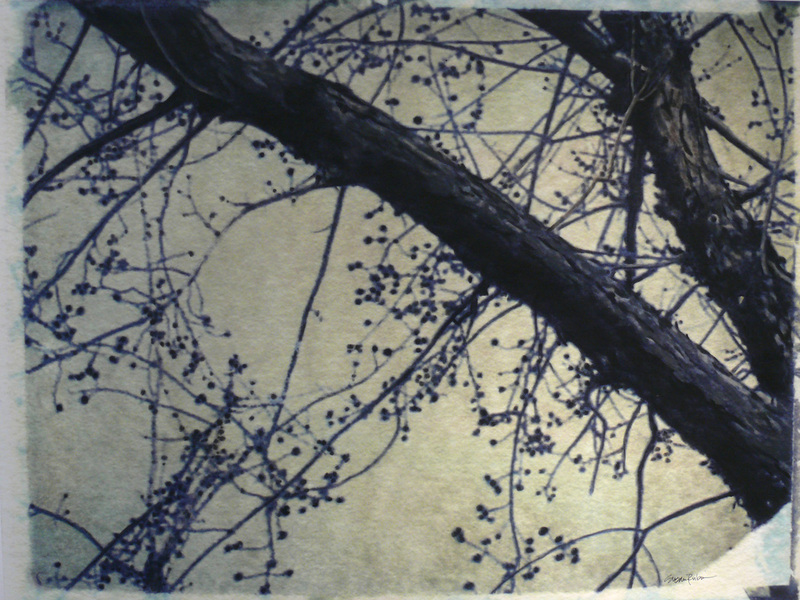 Quaking Aspen: Colorado Populus tremuloides • ©2012, 10″X 50"